Eagleson Institute staff recently interviewed Jim Wagner, Principal, Controlled Environment Consulting (CEC) regarding USP <797>. 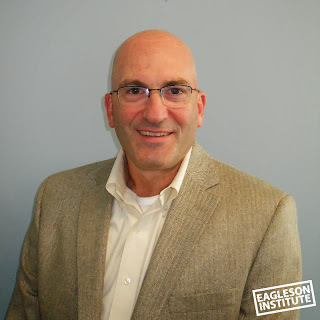 Jim is the lead instructor for Eagleson’s Certification of Sterile Compounding Facilities and Aseptic Isolators for Compliance with USP Chapter <797> and the NIOSH Alert. Jim has been an active member of the cleanroom and containment industry since the late 70’s. He served on the 2005-2010 expert committee to the United States Pharmacopeial Convention, which was responsible for changes to USP Chapter 797. He is currently a member of the 2010-2015 USP Compounding Hazardous Drugs expert committee. EI: What is the relationship between the USP Chapter <797> standards for testing and documentation and government regulations? Jim: The United States Pharmacopeial Convention (USP) does not regulate; it only writes standards. The state boards of pharmacy or departments of health in the 50 states are the ones who regulate the pharmaceutical industry. Most states’ regulations refer to the USP standards, but a few states write their own. EI: What lessons can certifiers learn from the New England Compounding Center (NECC) episode? Jim: Certifiers need to understand the importance of clear and complete documentation. Facility owners—and even state board of pharmacy inspectors—often assume that if there is a report, all is well. However, that may not be the case, and it certainly wasn’t at New England Compounding Center. EI: What is the purpose of a test report? Jim: Some certifiers think doing the actual airflow and room pressure testing is their “real job,” and that the report doesn’t matter. In fact, it matters a lot. A report needs to document what tests were done, to what standards, and the results of the tests. I’ve sometimes seen reports so incomplete that it’s impossible to tell what actually was done. That’s why we talk about reporting quite a bit in the ‘Certification of Sterile Compounding Facilities and Aseptic Isolators” class. EI: What about the FDA? What role did they play in the NECC case? Jim: Because the company was not a drug manufacturer, no FDA inspection was required. Sterile preparation facilities like NECC follow state board of pharmacy rules only, and are not required to follow good manufacturing practices (GMP) like drug makers. That may change as a result of this case, and it’s a good bet that all drug manufacturing facilities will face increased scrutiny because of the publicity. EI: How can certifiers adapt to the “new normal” of increased scrutiny? Jim: They can assume that more people—both facility folks and inspectors—will be interested in what they do. So, knowing what to test, how to test, and how to write detailed reports will become even more important. Much of what certifiers do, such as smoke testing, is a judgment call. It takes training and experience to make those judgments. 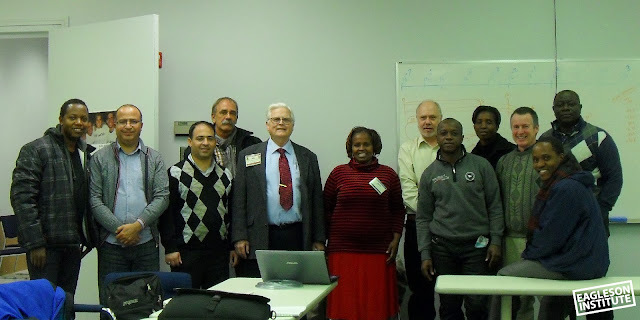 Eagleson Institute’s comprehensive global training programs moved to new levels in 2012, when we expanded our program to include mentoring recently-trained certifiers in Panama, Russia, Dominican Republic and Kenya. In the process, we learned a great deal about the challenges these new certifiers face, as well as the nuances of teaching a highly technical skill in a variety of different cultures. As a result, we have developed more extensive ways of evaluating our students and have developed strategies for working with countries to establish a sustainable certification program. The rewards of this work are tremendous, as the BSCs are used for analyzing samples that may contain drug-resistant TB, HIV, Ebola or other pathogenic agents. In this inter-connected world, ensuring the safety of the equipment provides protection to not only the laboratory workers using the cabinets, but also the rest of us sharing this planet. The variety of biological safety cabinets in use in the countries we visited is staggering. Our mentors helped students work with BSCs manufactured in Italy, Spain, United Kingdom, Japan, Russia, and China, some of which have as many as five HEPA filters! A large portion of the equipment encountered no longer has manuals, and in some cases, the manufacturer is no longer in business. In addition, there is the complication of testing cabinets to various standards and specifications. The variety of situations encountered is challenging to a seasoned certifier, never mind one who is newly trained. It is crucial that a person new to the field learn broad concepts that can apply in all situations – how to analyze airflow patterns, how to develop test criteria, how to decide if the BSC passes the tests when no clear specifications exist, and—most challenging of all—how to troubleshoot and repair problems. Logistical challenges are equally significant. In the United States, we don’t have difficulty purchasing the testing equipment, necessary parts and filters, or transporting supplies. In countries with dirt roads and small vehicles, even transporting test equipment so that it is not jarred out of calibration becomes a challenge. If filters are shipped, it’s difficult to ensure that everyone handling them along the way understands their fragile nature. If certification uncovers a part that needs replacing, determining the closest location to purchase it and finding the money for the purchase often forces the certifier to create a creative solution that can get the BSC working quicker, and within budget. We find that the certifier’s work doesn’t end with testing and perhaps “fixing” the BSC. As is often true in the United States, laboratory workers may not understand the importance of using work techniques that don’t disrupt the BSC’s airflow patterns. Therefore, in institutions without biosafety officers, certifiers need to be able to train laboratorians on how the BSC works, where it should be located, and how to use it properly. And in many cases, certifiers have to advocate to ministry of health or other officials in order to obtain funding for the certification efforts. These additional roles require teaching and communication skills that may be new for the certifiers. They also require credibility, but it’s difficult for the new certifiers to gain credibility with lab workers or officials in countries where people often don’t know that BSCs need to be tested. We at the Eagleson Institute have enjoyed getting to know the certifiers and their various cultures, and look forward to providing additional support to them as they face challenges unimagined by U.S. certifiers. It has truly been a learning experience for us all.